The Gen Con offices will close on December 21 through January 1, so employees may enjoy time with their families and friends during the holiday season. In 2016, Event Submission will begin on January 6, and Badge Pre-Registration will open on January 22. Additional information on how to submit events and get your Gen Con 2016 badge will become available in the coming weeks. Thank you for a great year! The Gen Con team looks forward to an even more exciting and fun convention in 2016. INDIANAPOLIS (December 3, 2015) Gen Con, the largest hobby gaming convention in North America, has reached an agreement to expand its events space into Indianapolis’ Lucas Oil Stadium for its 2016 convention. As part of this expansion, Gen Con will move several large events into the stadium’s exhibition space, including the wildly popular True Dungeon events. 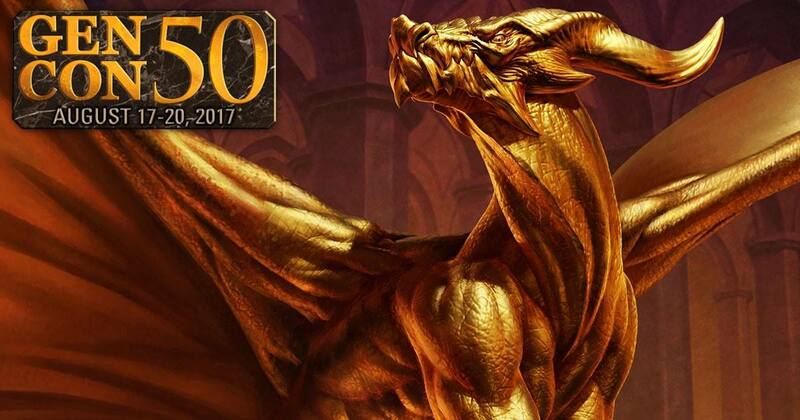 Gen Con 2016, the 49th convention in the show’s history, will take place August 4-7. A large-scale, life-size gaming experience, True Dungeon creates an immersive environment where players can solve puzzles and battle giant monsters. Attendees will have easy access to True Dungeon events through a corridor that directly connects the Indiana Convention Center to Lucas Oil Stadium. True Dungeon’s 2016 event will feature an expedition through lava caverns and a mission across an underground city. “We are very excited to offer an improved coaching and adventure experience with our new location,” said Jeff Martin, creator of True Dungeon. Gen Con will announce additional events hosted in Lucas Oil Stadium in the coming months. Last year, Gen Con had record numbers of events (14,000+), exhibitors (400+), and unique attendees (61,000+). Since 2010, the show has more than doubled in size. For additional information on this news release, please contact Stacia Kirby at (206) 363-1492 or stacia@speakeasy.net.